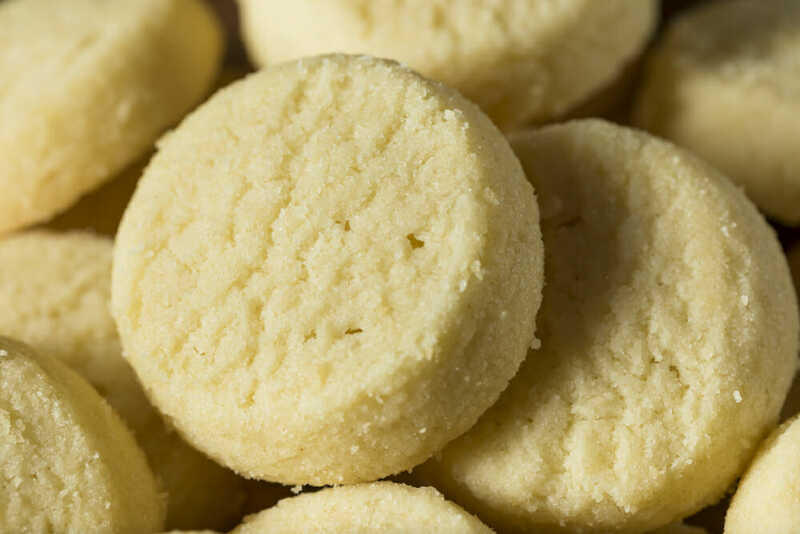 These four ingredient short bread cookies are easy to make and taste great!. Use an electric mixer to beat together the butter and erythritol until fluffy and light in color. Beat in the vanilla extract, then the almond flour, 1/2 cup at a time. The dough will be dense and a little crumbly, but should stick when pressed together. Scoop rounded tablespoons of the dough onto the prepared cookie sheet. Bake for 12 minutes, or until the edges are golden. Allow to cool completely in the pan before handling (cookies will harden as they cool).